These are the winning cricket betting systems and tipsters that we have tested over an extended period and found to consistently generate a profit. Well it has been a longer than usual trial period for the Cricket Advisor, with a low volume of bets it took 4 months to get to the minimum 100 bets required to judge the service. Unfortunately, as you can see from the results above, it hasn’t been a very successful trial and has finished 18 points down in the end. That wasn’t a disaster, as it represented a loss of just 18% of the advised 100 point bank, so we have certainly had worse trials. But on the other hand, looking back at the past results published on the website, the Cricket Advisor has been a long-term decline since September 2014, when he peaked at 45 points profit, down to his current level of -9 points. So it is tough to recommend any service that hasn’t made a profit in over a year and is actually down over its lifespan. Ease of use: Good – tips are sent out well in advance of the events and there are a variety of bookmakers you can use, or Betfair. Availability of prices: Good – we found the prices were generally available and there was no real downward pressure on prices after the tips were released. 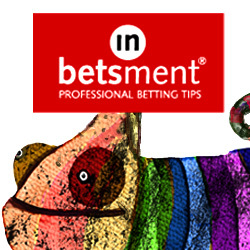 Tips are generally in markets with good liquidity such as international matches, IPL and T20/county matches, which generally have very strong liquidity on Betfair too. Subscription costs: The subscription costs are quite high given the results, at £37 per month = VAT or £74 + VAT per quarter. Sadly there are very few good cricket tipsters out there and this one didn’t quite produce the results we were hoping for. The trial wasn’t a complete disaster by any means though and our bank ended up 18% down over the course of the trial. Taken in the context of the longer-term results however, which show no profit has been made over the last year means the only verdict we can give this is a failed one and 2.5 stars overall. With the cricket season getting underway and the Ashes just around the corner, it seems like a good time to do a trial of a cricket tipster. So we have turned to the Cricket Advisor, who is part of the Betfan stable. This cricket tipster has been around for five years, which is a good sign for a tipster. So many seem to come and go on a whim, so it is reassuring when one sticks around – along as they are successful of course! The Cricket Advisor claims long term returns of 16% ROI which is good stuff. He mainly tips in the top batsman market but also delves into other niche cricket betting markets. Here’s hoping to a profitable summer with the leather and willow. It may be the only joy we get out of the cricket this summer if England’s recent form is anything to go by! Anyway, we will do our normal three month review and see how this one gets on.